Rubyforge is a software development "code forge" associated with projects written in the Ruby programming language. 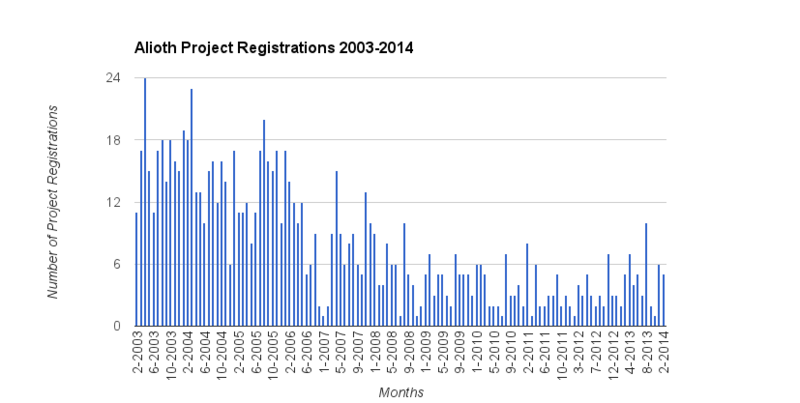 This chart shows the growth of new projects registered on this forge from July 2003 - December 2013. We used datasource_id=317 in this example. 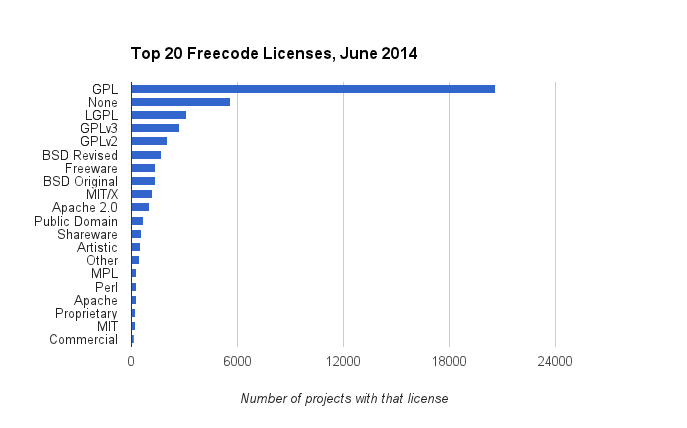 This chart shows the 20 most popular licenses chosen by the projects on Freecode. 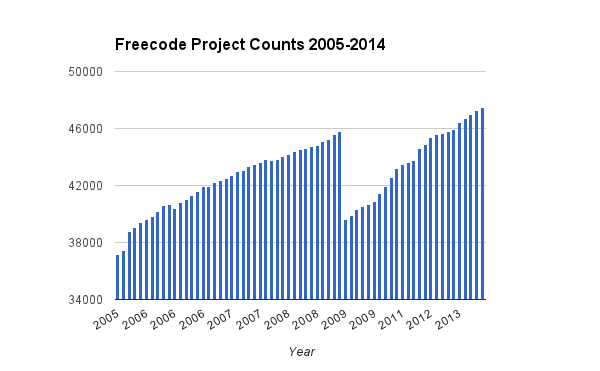 Freecode allows each project to declare which other projects it is dependent upon. 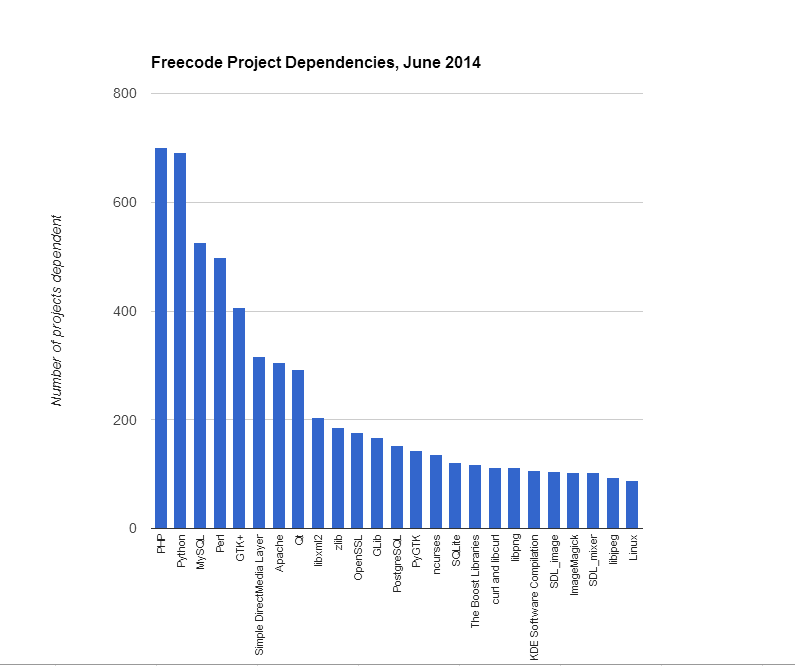 Here is a chart showing the projects that were declared dependencies most frequently. 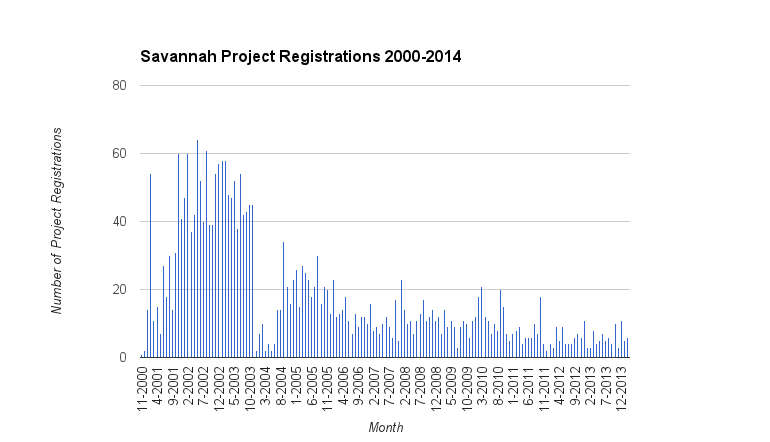 PHP was the project selected most often by other projects as a dependency. Tigris lists the open source license that each project is using. 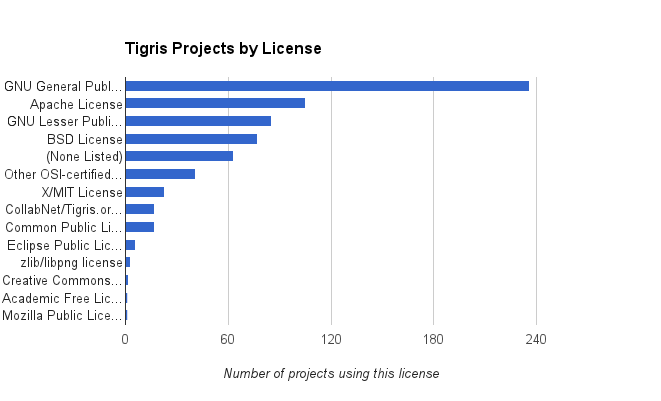 The following chart shows the licenses used by projects on Tigris, and how many projects use each. Note that UNLIKE some other forges, variations of the GPL (and other licenses with multiple versions) are not differentiated by version, rather they are all lumped together. Objectweb allows each project to state what license it uses. 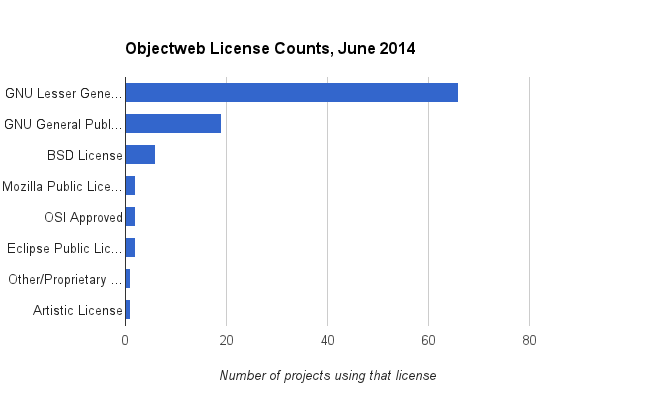 Here is a chart showing these licenses for all the projects on Objectweb, as of June 2014. 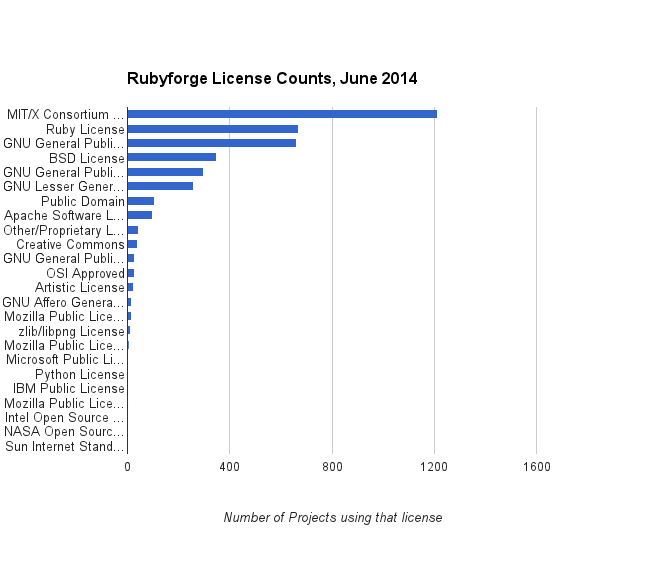 Each project on Rubyforge can list what license it uses. 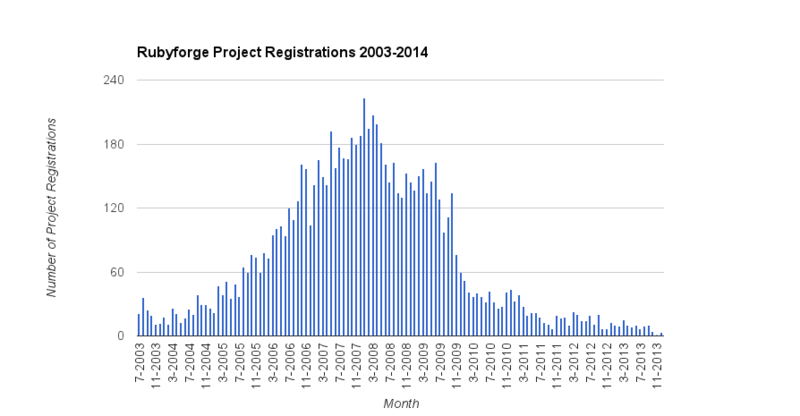 The following chart was generated in June 2014 (datasource_id=12987) to show the most common licenses (all those with more than 10 projects using it) and how many projects.